Perfect for casual day trips, this sturdy bag can hold personal items or treasured finds along the way. 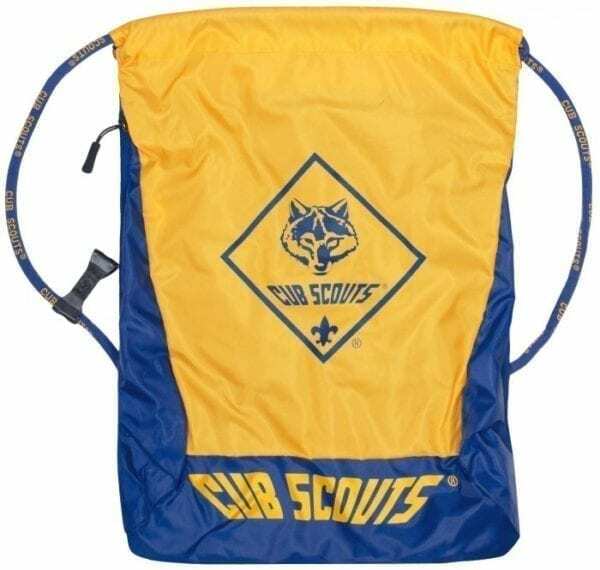 Made of a durable 420D polyester oxford fabric, this bag will last for all of your Cub Scout adventures. Adjust the length of the drawstrings by adding slip knots! 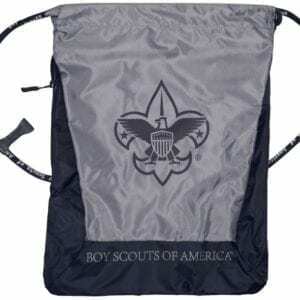 It features a drawstring top and a zippered 4″ x 8″ side pocket. Bag measures 18″ high x 14″ wide.